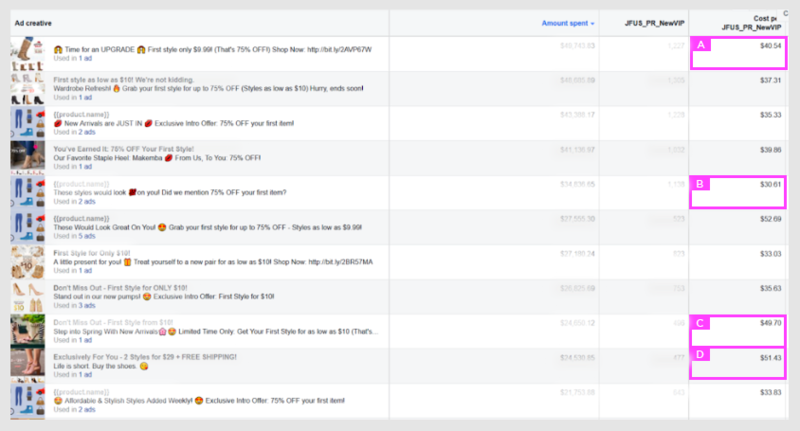 What are the bottlenecks of your Facebook account? Get the money-saving insights within 2 working days. What value you can expect in this audit? 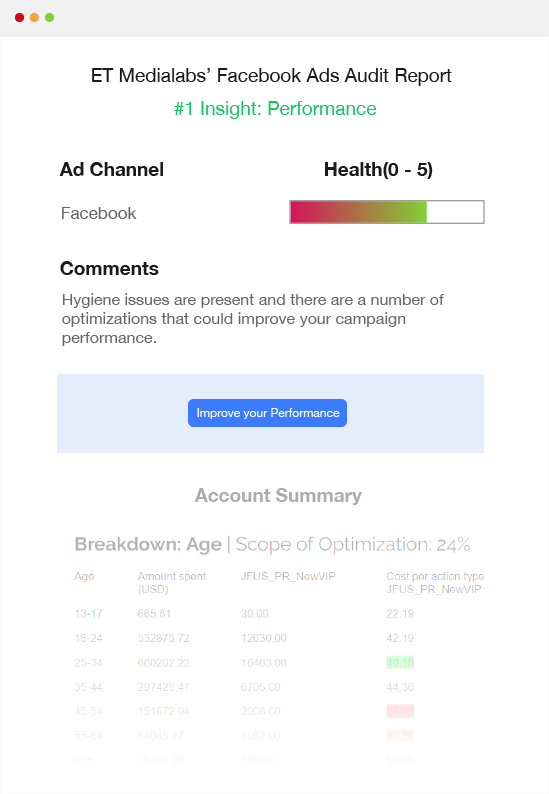 The Facebook Ads report can show you, at a glance, your accounts status and the most important aspects. The tool tracks data for the last 90 days which makes it easier to spot if the performance is on the right track. If you have to analyse all this information by hand it will take you the whole day. The report includes information about each type of campaign and compares the performance between the audience you are targeting. Now you can take informed decisions about the Audience budget adjustments and distribute the budget based on performance. Discover how much budget was spent on underperforming audiences, and how much more budget is estimated to be lost. This will allow you to spend the budget on the best quality audiences and Ads. 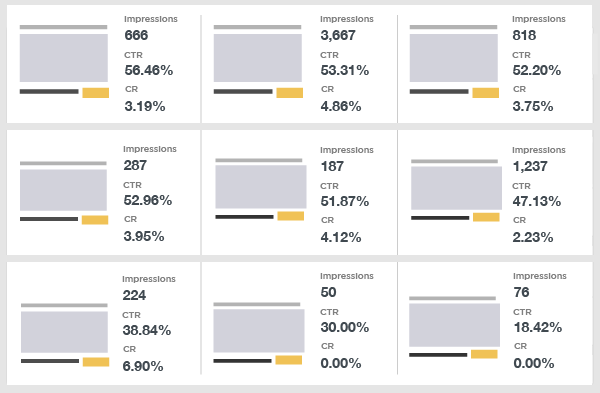 The Relevance Score section of the report includes the average Relevance Score of your ads. This value can have a major impact on your ROI. By improving it you can lower your costs. 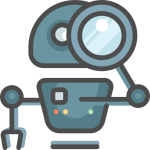 Did you know our Robot checks your Facebook Ads account in 50+ areas? Tens of our customers started with a free Facebook Ads audit. Determine which ads are working better for your account and how good is their performance. Have insight in what exactly attracts your customers and create more effective ads. 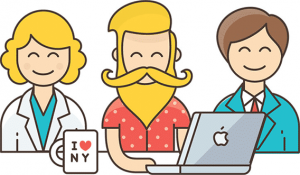 See which are your best converting brands and make use of this info to increase your sales. The audit will let you know which brands should be promoted more and which ones should be advertised less or excluded from the campaigns. The ABC Analysis is the best way to check the performance by batches of products. Usually, in Facebook accounts, 10% of the products are generating 80% of the total revenue. The ABC analysis is categorizing your products in three different groups according to their costs and generated revenue. 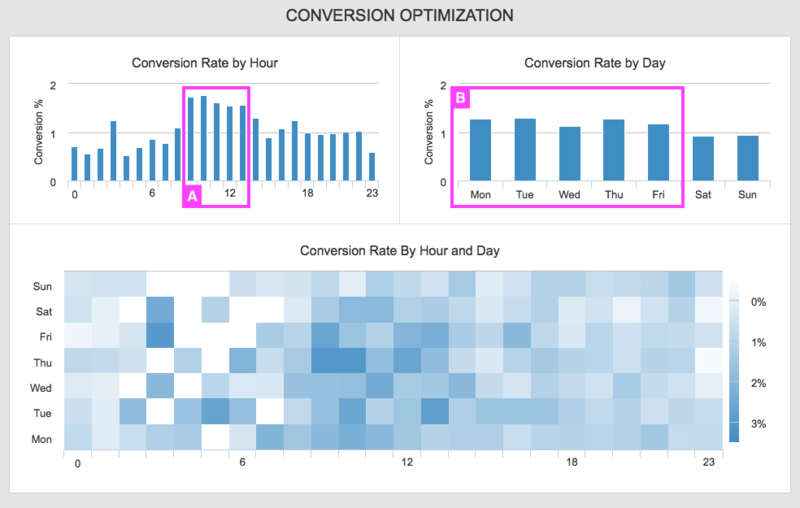 The time slots will allow you to optimize your campaigns and increase the number of conversions your store has. Instead of having a flat CPC throughout the day, now you can increase the maximum amount you are willing to spend for a click exactly when the conversion rate is higher and crease it when no one is buying. The audit also includes a Best Practices section to help and guide you to take the best decisions regarding your account’s performance. Ready to get the most out of your data? Fill out this quick form and we’ll get right back to you.